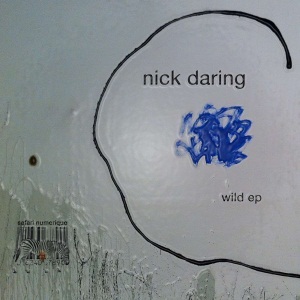 As you might know Safari Numerique likes to bring new artists in the market and we are really pleased to get Nick Daring on board ! We are sure that you gonna hear from him in the near future ! For his debut EP he delivered three strong pieces followed by 2 remixes from Andrade (Poker Flat) & Luca Bear (Robsoul / Viva Music). Out on Beatport November 14th 2011. Out all digital December 12th. Nice Release Federico Molinari – Wild is the one for me, nice vibe! Steve Bug – What a fantastic Ep! Can’t wait to play this at Wiggle tomorrow night Nathan Coles – Algorise and Dark Light are really nice…..i like Nick’s music for some time now……great stuff Ekkohaus – Andrade rmx + Luca Bear rmx are really great! Will play them a lot! Luciano Esse – really like this ep — will play for sure Laurent Garnier – Wild 10/10, amazing ! Andrade – luca bear remix for me Gel Abril – Kilkenny and Wild – cool! Justin Harris – very nice package algorize is my favorite Ali Tiefschwarz – kilkenny´s the one! Jackmate – I like the andradde remix, will play on the radio and in special club moments Lele Sacchi – Wild for Me Kabale Und Liebe – Algorize is the cut for me…bomb. Wild is really cool as well. Remixes are cool too Konrad Black – kikenny is awesome Someone Else – Luca bear remix in the box D’julz – wild is a great tune Dj Hell – Nice ep Algorize(Luca bear rmx) for me Master H – very nice ep … my favorite track is wild Antonio De Angelis – Very Nice Rob Mello – Very nice selection of tracks here,thanks,will play for sure Miss Jools – Kikenny for me Shinedoe – Really like the rough analog feel to Kikenny Doc Martin – dark light remix for me Russ Gabriel – Nice remixes from Andrade and Luca Bear Llorca – nice Dj Gregory – lot of nice stuff. I wll play Kikenny its a really cool tool Okain – Wild orig and Dark Light Andrade mix for me Diesel – andrade remix Raresh – Kikenny is a great house tool and I really like the remix from Luca Bear! Nice out of tune strings… =) Joel Alter – Played by Seth Troxler, MANDY, Agoria – Review confirmed in De:Bug. This entry was posted on October 15, 2011 at 10:43 and is filed under Release, Safari Numerique.